Have you ever wanted to create your own version of Groupon-like promotions? 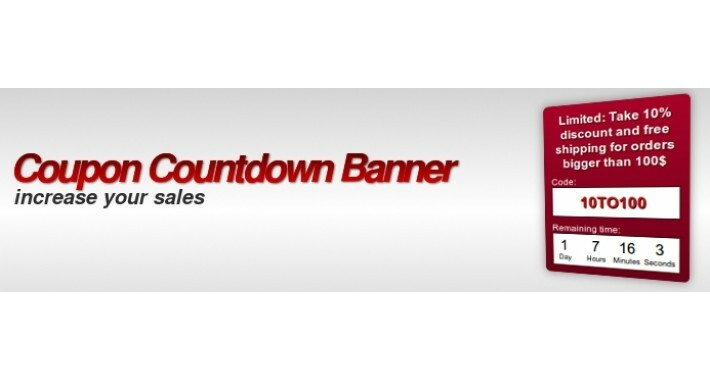 This module will create an interactive banner in the front-end with coupon code and countdown timer which will encourage your customers to use it and potentially to increase your turnover. The remaining coupons – set limited number of coupons which can be used and visitors seeing that the number of the coupons is small they will be eager to use it.